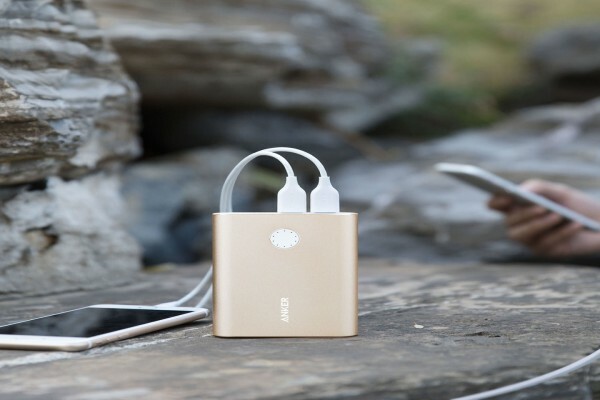 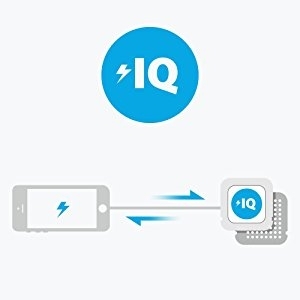 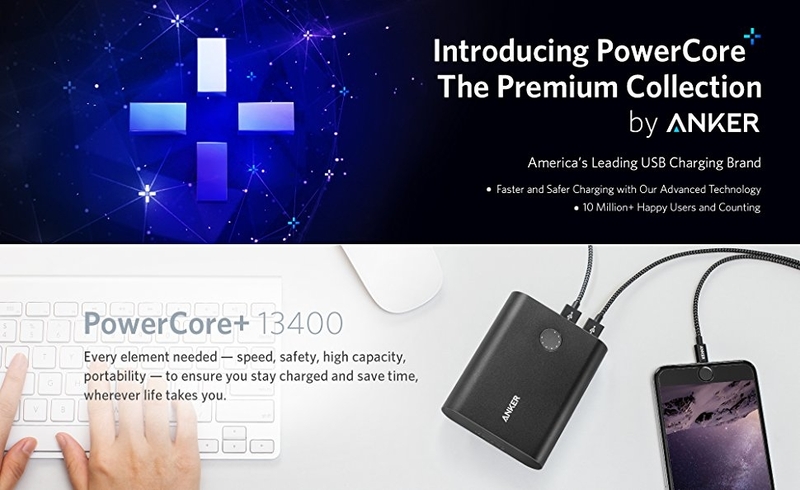 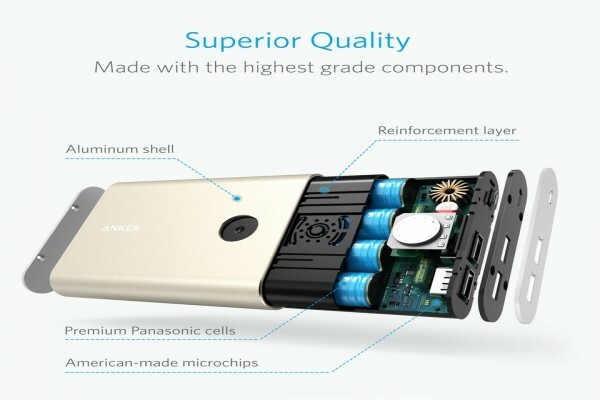 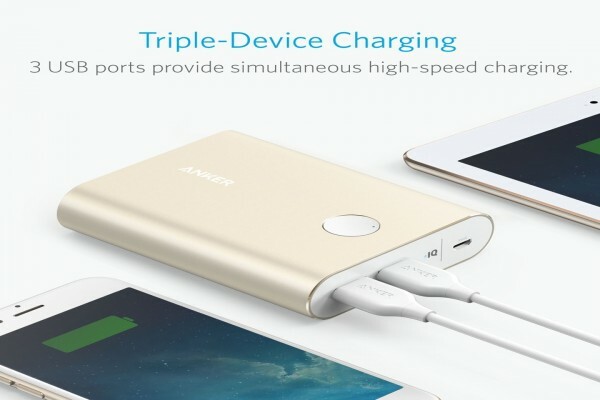 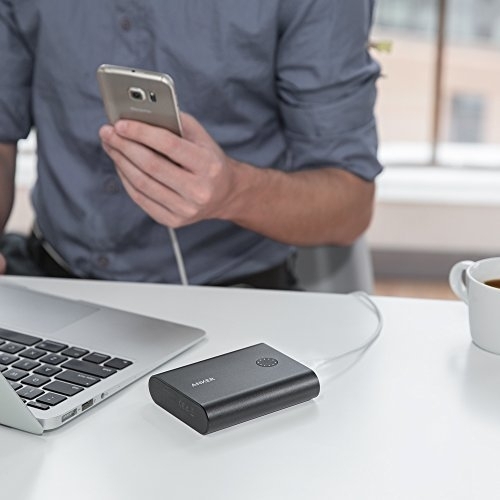 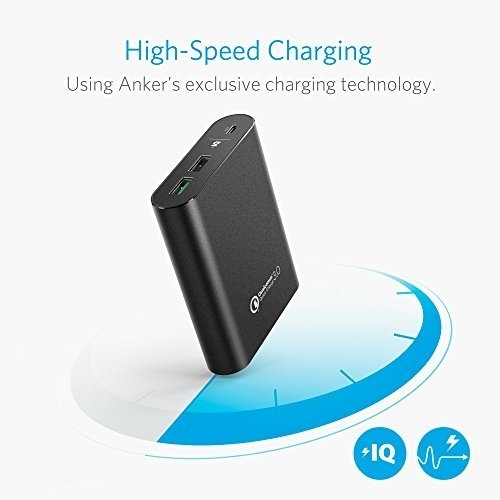 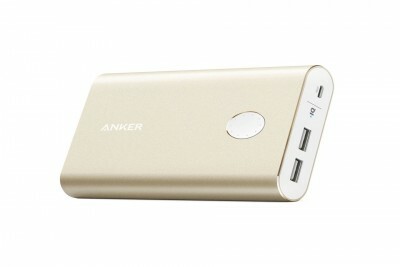 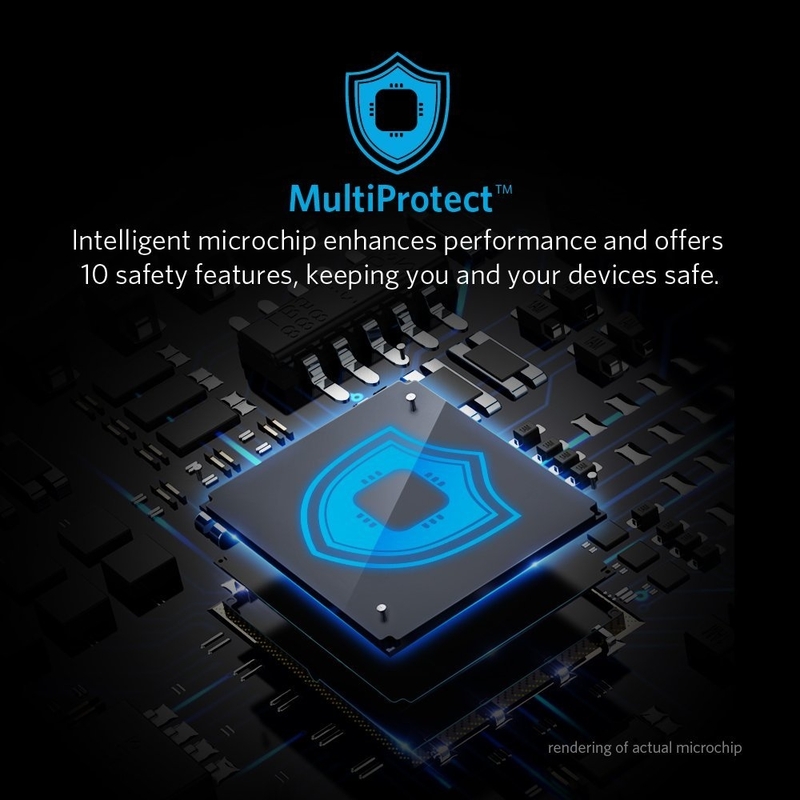 Exclusive to Anker, PowerIQ and VoltageBoost combine to ensure the fastest possible charge up to 4.8 amps through both ports, an industry-leading output. 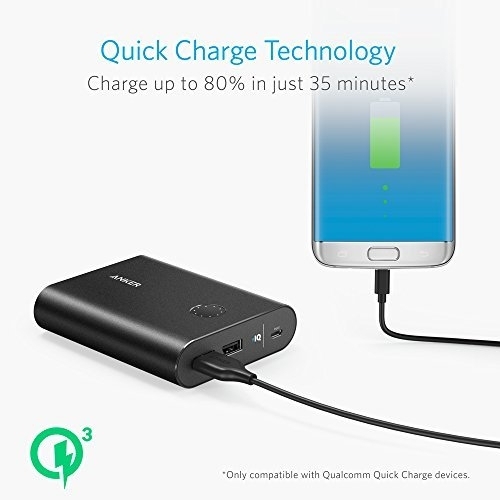 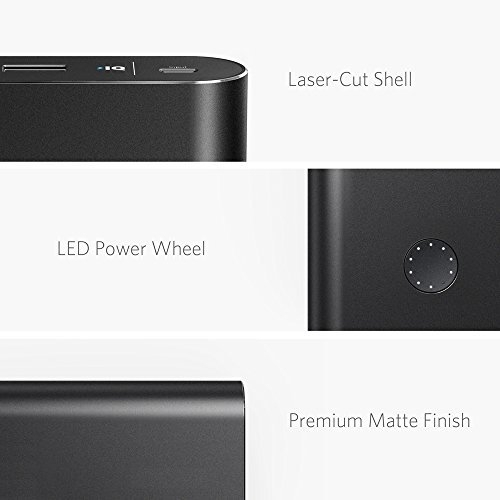 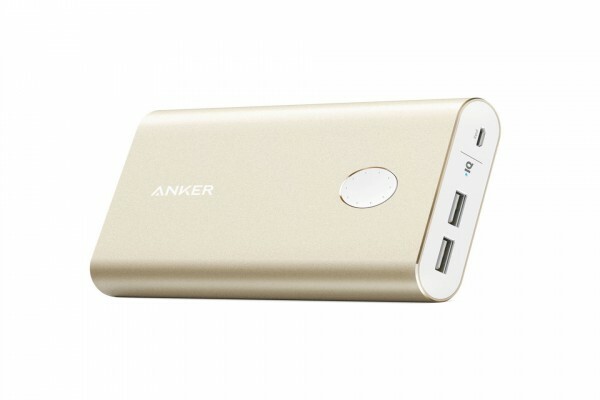 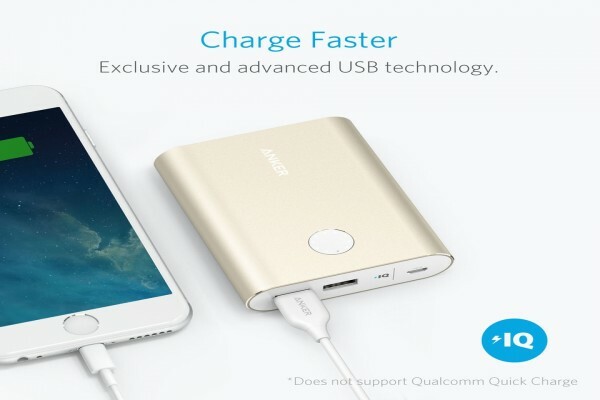 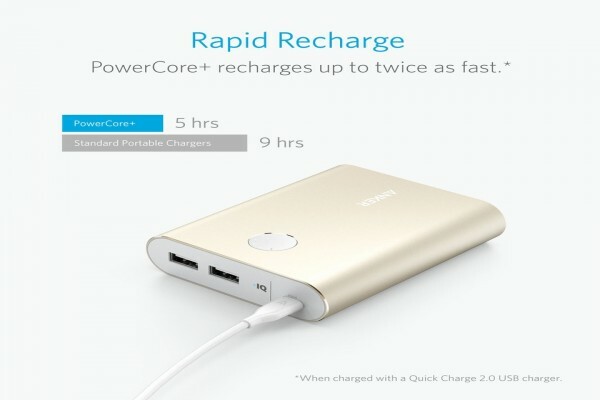 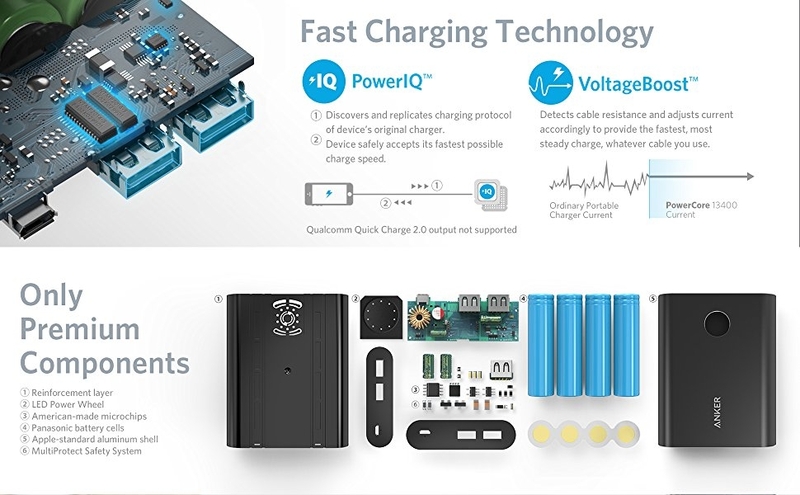 PowerCore+ itself recharges in only 5 hours with a Qualcomm Quick Charge 2.0 USB Charger (sold separately). 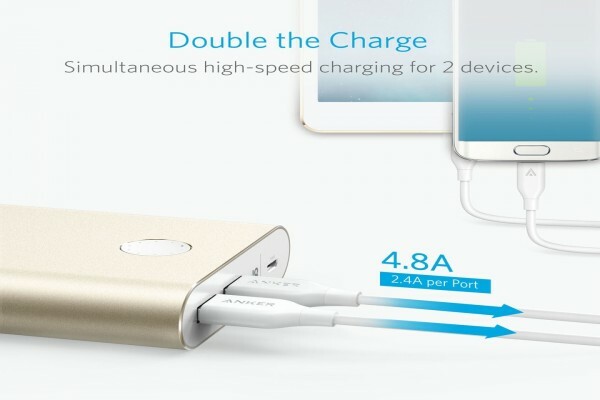 That's up to 2X faster than a normal charger!